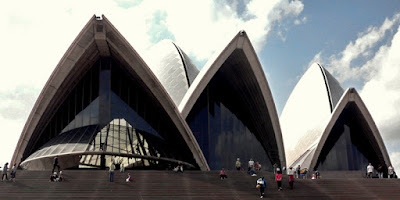 I needed something to do yesterday so I decided to take the ferry into Sydney again...always something going on there. 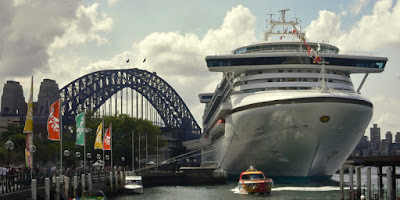 As we where passing under the Harbour Bridge and turning into Circular Quay a huge ocean liner came into view. Her name is the Sapphire Princess. 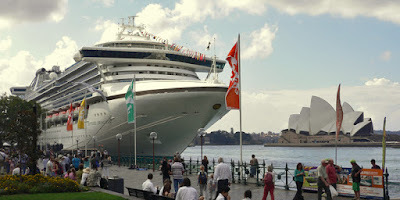 She was docked at the Overseas Passenger Terminal. 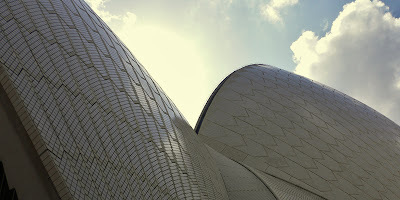 Next I decided to walk over to the Sydney Opera House and take some close-up pictures. This is a totally awesome building. I'll be posting again soon.